From her law office in Pittsburgh, Pennsylvania, Natalie Snyder Law, attorney Natalie Snyder provides exceptional defense counsel and support to clients throughout Allegheny County and the surrounding areas who stand accused of virtually any type of felony or misdemeanor offense. 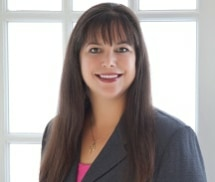 A native of Pittsburgh, Ms. Snyder has a genuine concern for the legal issues that affect the residents of her community, and she is deeply passionate about protecting the rights and liberties of those dealing with serious and complex legal challenges involving DUI and traffic-related offenses, drug violations, gun charges, arson charges and more. In addition, Ms. Snyder and her law firm represent individuals who violated either temporary or final protection from abuse (PFA) orders, and she has extensive experience assisting clients with mental health issues who have run afoul of the law. Likewise, college students and other young clients can rely on her for effective counsel regarding underage drinking charges and other offenses. Fierce, respectful and compassionate, Ms. Snyder promises to treat you with the dignity and respect you deserve as she aggressively pursues the most favorable outcome on your behalf, and her law firm has received numerous positive reviews and referrals from satisfied clients. To begin receiving the quality defense counsel you deserve from a local attorney you can trust with your most sensitive legal issues, you should contact Natalie Snyder Law as soon as possible after your arrest to receive a free initial consultation concerning your matter.